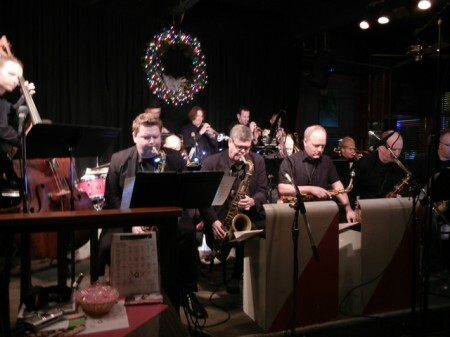 This week on Jazz Northwest features highlights from an Emerald City Jazz Orchestra celebration of the Woody Herman Centennial at Tula’s in December as well as excerpts from Steve Griggs‘ Panama Hotel Jazz suite which will receive a full performance at The Seattle Art Museum on February 13. Also included on this show are new CDs by Greg Williamson, Mercedes Nicole and Marc Seales as well as picks for live jazz in the coming week. Jazz Northwest airs Sundays at 2 PM Pacific on 88.5 KPLU and is also streamed and available as a podcast at kplu.org following the broadcast. Jazz Northwest is recorded and produced by Jim Wilke, exclusively for 88.5 KPLU. from Earshot Jazz: On Friday, January 31, Seattle all-stars join Marty Ehrlich at the Royal Room, 8pm. Ehrlich (reeds) performs with Cuong Vu (trumpet), Tom Varner (French horn), Wayne Horvitz (piano), Geoff Harper (bass), and D’Vonne Lewis (drums). Marty Ehrlich began his musical career in St. Louis, Mo., while in high school, performing and recording with the Human Arts Ensemble. He graduated from the New England Conservatory of Music with honors in 1977, where his teachers included George Russell, Jaki Byard, Joseph Allard, and Gunther Schuller. He has made 25 recordings of his compositions for ensembles ranging from duo to jazz orchestra – his Emergency Peace Ensemble, Traveler’s Tales Group, Rites Quartet, and the Marty Ehrlich Sextet. 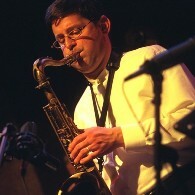 A multi-instrumentalist, passionate about improvisation and interpretation, Ehrlich has performed with a who’s who of contemporary composers, including Muhal Richard Abrams, Ray Anderson, Anthony Braxton, John Carter, Jack DeJohnette, Anthony Davis, Mark Dresser, Michael Formanek, Don Grolnick, Chico Hamilton, Julius Hemphill, Andrew Hill, Wayne Horvitz, Robin Holcomb, Leroy Jenkins, Myra Melford, James Newton, Bobby Previte, Leo Smith, and John Zorn. Admission is by suggested donation. Dinner reservations are available. In a performance sure to kick the new year way further up the track, two renowned improvisers and jazz pioneers on the Amsterdam scene – drummer and percussionist Han Bennink and violist/violinist Mary Oliver – perform alongside Seattle alto saxophonist Jacob Zimmerman and keyboard ace Wayne Horvitz. 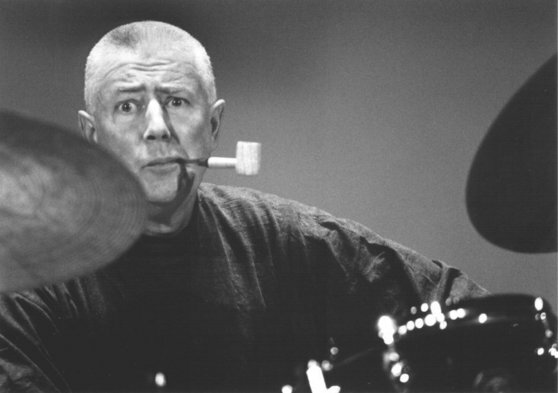 Bennink is one of the great figures of European jazz. With pianist Misha Mengelberg, co-leader of the stellar ICP Orchestra (the letters stand for Instant Composers Pool), Bennink has set the direction of a thriving variant of jazz that has in turn influenced many American players. He typifies the Dutch new-jazz approach: while deeply, deeply grounded in American jazz traditions, it also employs a torrent of other influences along with a torrid, tireless, often antic approach. Now a decade-long member of the ICP, American violinist and violist Mary Oliver has achieved the distinction of earning respect on the Dutch scene, on which women have rarely been well represented. Oliver, La Jolla born and raised, a leading figure on the Dutch scene, has appeared with a wide range of free improvisers, avant-gardists, and New Music exponents. She holds a doctoral degree in Theory and Practice of Improvisation – that, thanks to studying at UC San Diego, whose music department had been much influenced by trombone innovator George Lewis. She has performed not only at the highest levels of jazz and improvised music, but also as an interpreter of new works by the likes of Iannis Xenakis, John Cage, and Brian Ferneyhough. Her range of virtuosity has often been remarked – few violinists have been able to stretch from the rigorous formal training and performance required for music by Xenakis, and co., to collaborations with some of the world’s most unpredictable and expansive improvisers and jazz innovators – the likes of George Lewis, Phil Minton, John Zorn, and a host of others. Joining Oliver and Bennink in this performance at the spacious, listener-friendly Columbia City venue – it has good grub, too – are two Seattle-based multi-genre players, keyboard wiz Wayne Horvitz and young alto saxophonist Jacob Zimmerman. For many audience members, Bennink is always the show. At times comic, at times seemingly possessed, he is foremost one of the great modern jazz drummers. Born near Amsterdam in 1942, the son of an orchestra percussionist, he learned early the usefulness to percussion performance of any and every object and surface – chairs and floors are among his favorite examples. continue reading at Earshot Jazz. If you tuned into The Grammys last night no doubt you saw that Macklemore and Ryan Lewis won a few awards for their album The Heist. Probably not everyone is aware that The Teaching (the Seattle jazz group featuring Josh Rawlings, piano, Evan Flory-Barnes, bass, and Jeremy Jones, drums) are featured on a couple of tracks and were in attendance last night. 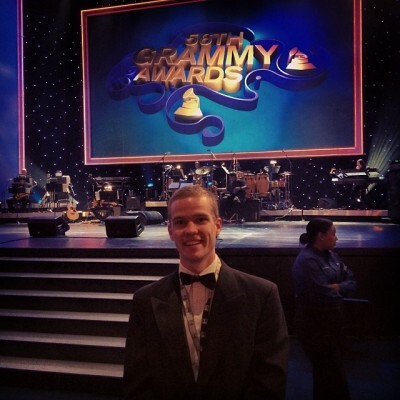 Roosevelt High School trumpeter John Otten was selected to participate in the Grammy Band, a nationwide select big band, and was in Los Angeles all week rehearsing and performing. No doubt we will be hearing great things from John in the future. And finally, Seattle’s Origin Records received a nomination for Best Large Jazz Ensemble Album for their release Intrada by the Dave Slonaker Big Band. 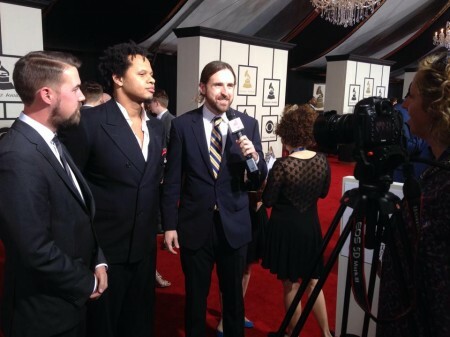 While they did not win, it was Origin’s seventh Grammy nomination. Norman Durkee died January 12 after a rich and productive life that produced all kinds of music in many different settings. Best known now as one of the creators and music directors of Teatro ZinZanni for the past 15 years, he was also prolific in concerts, opera, dance, contemporary concert music, jazz and blues to mention a few areas in which he was well known. Jim Wilke remembers Durkee from the 70s when he was producing radio commercials, an underground opera “Plastic Radio”, and playing concerts that mixed classical, jazz, rock and blues. Irreverant and unpredictable, he never landed in the same place twice and every performance was different, often radically so. Excerpts from a Norman Durkee performance with Dan Dean and Tom Collier in the Alki Room at Seattle Center during Bumbershoot in 1979 will be featured on this week’s Jazz Northwest. Music on this week’s program also includes Steve Treseler’s CD “Center Song” and new CDs by Scenes with Hans Teuber, and “American Songs, Vol.2” by Marc Seales. Jazz Northwest is recorded and produced by Jim Wilke exclusively for 88.5 KPLU, and it airs at 2 PM Pacific on Sunday afternoons. The program is also available as a podcast following the broadcast. 91.3 KBCS FM presents the Pacific Jazz Institute at Dimitriou’s Jazz Alley present guitar great Bill Frisell in the Space Age featuring Greg Leisz (guitar), Tony Scherr (bass), and Kenny Wolleson (drums) for four nights! Set times Thursday through Sunday at 7:30pm with additional shows on Thursday through Saturday at 9:30pm. Doors each night at 5:30pm. Bill Frisell’s work has established him as one of the most sought-after guitar voices in contemporary music. The breadth of his performing and recording situations is a testament not only to his singular guitar conception, but his musical versatility as well. In recent years, it is Frisell’s role as composer and band leader which has garnered him increasing notoriety. Much has been made of the uncategorizable nature of Frisell’s music and the seamlessness with which his bands have navigated such a variety of styles. Greg Leisz has been much in demand for playing country, folk, pop and rock music with such artists as Joni Mitchell, Emmylou Harris, Willie Nelson, Linda Ronstadt, KD Lang, Randy Newman, Gillian Welch, Lucinda Williams, Sheryl Crow, Paula Cole, Brian Wilson, Jackson Browne, John Mayer, and Joe Cocker. Leisz lives in his native Los Angeles and is well-known for his mastery of a variety of guitars and string instruments including pedal steel, dobro, National, Hawaiian Weissenborn, lap steel and mandolin, all of which he plays on many Frisell’s recordings. Greg also performs with Bill in both duo and larger group formats. Tony Scherr is perhaps best known for his work as a bassist in a number of Bill Frisell’s bands, Steven Bernstein’s Sexmob, and for Willie Nelson, yet he is also a prolific guitarist and songwriter in his own right, as well as a Grammy-nominated producer. 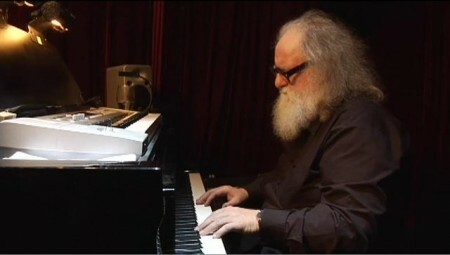 Scherr has two recordings of his own, Twist in the Wind (2002) and Come Around (2007). He is one of the busiest sidemen in New York City, with recent recording credits on albums by Rufus Wainwright, Norah Jones and many others. A ubiquitous presence on the New York downtown scene, drummer Kenny Wollesen’s latest projects include collaborating with Cyro Baptista on the Sound of Community Project, playing bass drum with the marching band Himalayas, playing vibes in a plethora of John Zorn bands, playing drums regularly with Sexmob, Love Trio, Bill Frisell, U-Roy, and he is a founding member of Wollesonic Laboratories. Norman Durkee, longtime music director for Teatro ZinZanni, died Sunday. Mr. Durkee, who was with the dinner theatre/cabaret show from the beginning, in 1998, had left ZinZanni in 2012 and was recovering from serious health problems, having suffered congestive heart failure and a double bypass two years ago. He was 65 years old. A Seattle Times article last November reported on Durkee’s many accomplishments in the worlds of jazz, theater, modern classical music and rock, as the company launched a tribute to his 15 years of service with the show. At the last minute, the brilliant and whimsical musician was hospitalized and was unable to attend the tribute. Look for a complete obituary later this week in The Seattle Times. Jonathan Pugh grew up in Wenatchee and his first musical memories include standing by his Dad as he led the band at his Summer youth circus. Later, he connected with Don Lanphere in Wenatchee and studied with him during his teen years. It was mutual inspiration as Jonathan become a regular member of the Don Lanphere Quintet, touring and recording eight albums with the sax legend during his resurgent career. Jonathan Pugh started on trumpet, but today focuses on the mellower cornet. He presently teaches in the Edmonds Schools. Joining him in this Art of Jazz concert from the Seattle Art Museum are Dave Peterson on guitar, Jon Hamar on bass and Max Wood on drums, all notable for their tone and swing. The Art of Jazz Concerts are presented by Earshot Jazz, John Gilbreath, Executive Director and the Seattle Art Museum with the support of KPLU. The series is now in its 17th year of free concerts presented on the third Thursday of each month from 5:30 to 7;30. 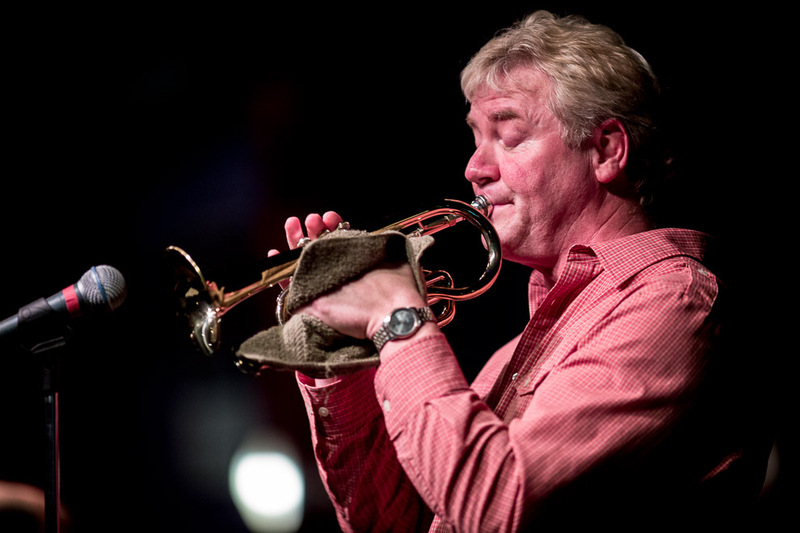 The next concert on February 13 will feature the Steve Griggs “Panama Hotel” Quintet playing music inspired by the novel “Hotel on the Corner of Bitter and Sweet” by Jamie Ford, set in Seattle’s International District during the early 40s. Jazz Northwest is recorded and produced by Jim Wilke exclusively for 88.5 KPLU. The program airs on Sundays at 2 PM Pacific and is streamed at kplu.org. A podcast is also available following the broadcast. Guitarist Peter Bernstein is back in town, finishing up a two-night run at Tula’s tonight, but here we look back at Peter at the Ballard Jazz Festival in 2005. This video, will saxophonist Eric Alexander and the same rhythm section joining him tonight (bassist Chuck Deardorf and drummer Matt Jorgensen), has been viewed over 112,000 times … by far that most-viewed video for Origin Records on YouTube. Come down to the show tonight and check out more great jazz videos at the Origin Records YouTube channel.